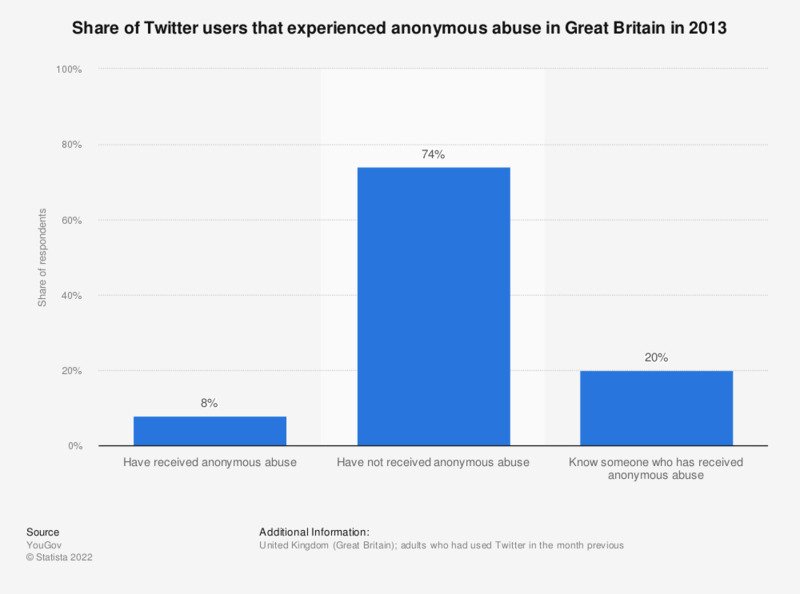 This statistic illustrates the share of Twitter users in Great Britain who reported having received anonymous abuse via Twitter in 2013. Eight percent of respondents reported having received anonymous abuse. The source did not provide additional information regarding survey methodology, date of survey or age of respondents.